We now have Honeycrisp! It is a really nice crop that should hopefully last into early to mid September. 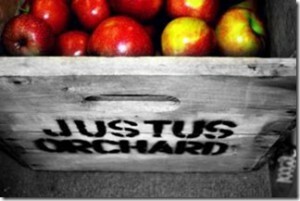 Looking forward to another great weekend at Justus Orchard! 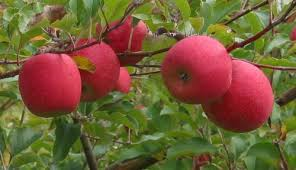 Gala apples are now available U Pick or We Pick! Blackberries also available U Pick. Gala, Zestar, Gingergold, Yellow Peaches, White Peaches and Nectarines available already picked. Apple Fritters, Fried Apple Pies, Fried Apple Blackberry Pies, Fried Peach Pies, Apple Cider Slushies and 8 varieties of Hersheys Ice Cream!! Jumping Pillow open weather pending, Cow Train will start rolling Labor Day Weekend. 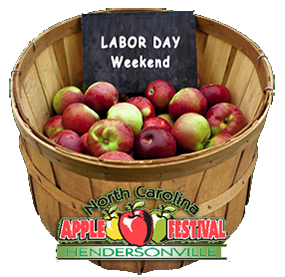 If you are planning on going to the NC Apple Festival this year, We will be there on 5th and Main! Come see us! So excited for the 2018 harvest season, we hope to see you soon! We are now open for 2018! We do have limited open hours now through Mid August, after that we will be open 7 days a week. 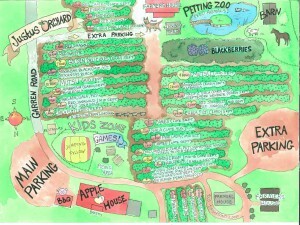 Pick Your Own Blackberries, 9 am to 5 pm, everyday. The Apple House and Bakery are open Friday, Saturday and Sunday, 9 am to 5 pm. On Weekends we have We Pick Blackberries, Peaches and Nectarines, Bakery items include Cider Slushies, Apple Cider and Blueberry Donuts, Fried Apple Pies and 8 flavors of Hershey’s Ice Cream! Jumping Pillow is open on weekends, weather pending. We have doubled our Bakery size, including twice as many donuts per hour and 2 check outs on weekends. We have also added a new expanded parking area. We look forward to a great 2018 season and seeing you soon! 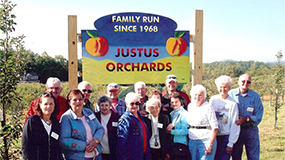 Justus Orchard is now closed for the 2017 Season. We look forward to seeing everyone again in July 2018 for Blackberry picking and Mid August 2018 for the beginning of Apple Season! Sunday November 5th will be our last day open for Apple Season 2017! We will still have Mutsu, Golden Delicious, Pink Lady and Arkansas Black available for U-Pick! Fuji, Cameo, Red Rome, Mutsu, Golden Delicious, Pink Lady and Arkansas Black available We-Pick! 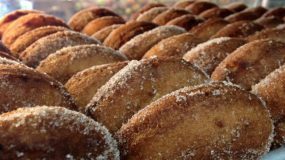 Our Bakery will be open with our famous Big Guys Fried Apple Pies, Apple Cider donuts and Fresh Apple Cider, the Jumping Pillow and Cow Train will be open weather pending. 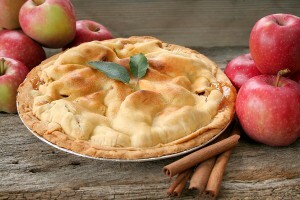 Now is a great time to stock up on apples, canned goods and Bakery goodies, don’t miss out! Hope to see you on Sunday!! Cooler Weather is here! 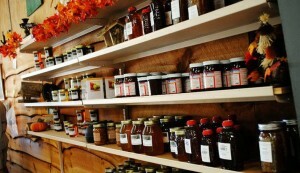 What could be better than Apple Picking, Hot Bakery, Hot Apple Cider and Canned Goods?! Jumping Pillow will be open Friday, Saturday and Sunday. Mutsu, Goldens, Jonagold, Pink Lady and Arkansas Black available U-Pick or We Pick! 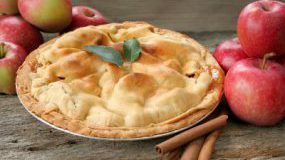 Bakery open every day, be sure to stock up on delicious frozen whole apple pies for Thanksgiving and Christmas and unique jellies, honey butters and apple butter for stocking stuffers. 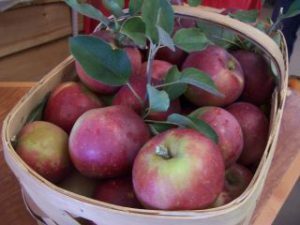 If you still haven’t made a trip up the mountains to get apples you still have 2 more weekends, or maybe a 2nd or 3rd trip! Pink Lady’s are now in for the 2017 season! U Pick or We Pick! Also available this weekend are Fuji, Jonagold, Mutsu, Goldens, Granny Smith, Cameo, Red Rome and Arkansas Black! Bakery, BBQ, Lots of fun! Open through early November! Cooler Weather means later season apples are ready! 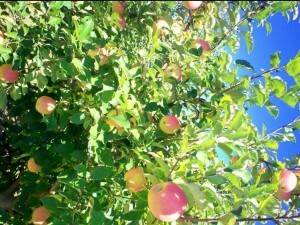 We have a beautiful and bountiful crop of apples this year at Justus Orchard. Don’t miss out! U-Pick apples available this weekend! 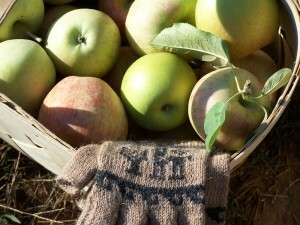 We Pick apples available this weekend! Come out and interact with Henderson County’s finest law enforcement, fire and rescue. Young and old alike always have a great time getting to take a peek inside the patrol cars, rescue trucks, fire trucks and the SWAT truck. On some occasions you might even get to see working K-9’s or the firehouse dog! Mountain Cabbage, Sweet Potatoes, Irish Potatoes and More! !